The ground floor apartment located in the house Tannengrund is furnished to a high standard and barrier-free. All access routes and rooms are designed without thresholds. All rooms have modern underfloor heating. The floor is fully tiled in all rooms. The bedroom has a large double bed which is equipped with a slatted frame and a high quality foam mattress. In the living room, the cozy sofa invites you to read and watch TV. The living room and the terrace are south facing. On the terrace guests can sit directly in the lovingly landscaped garden. All guests have free Wi-Fi available. The house is very quiet between pine forests and the meadows of Achterwassers located. It houses 4 apartments - two in the roof and two on the ground floor. Each apartment is rented exclusively to two people. The romantic Achterwasserküste and the white Baltic Sea beach are within easy walking distance. All guests have free Wi-Fi available. The homepage of the Usedom Apartments Tannengrund has a guide about the island of Usedom ready, the places and regions as well as cycling and walking routes of the island in detail. Leisure: Due to its central location you can reach all leisure activities in a short time by car or by bike. By car it is about 15 minutes to the imperial baths. There is a bicycle rental and a horse riding center just 200 m away. Those who like to go jogging in the morning can start directly from the holiday home and enjoy the path across the meadows of the Achterwasser and through the beautiful pine forests. Usedom Island: world famous for its imperial baths characterized by the interplay between the Idyll at Achterwasser and the white Baltic Sea beach. A visit is worth the various peninsulas of the island: the Lieper Winkel, the Wolgaster place, the peninsulas Balm. Enjoy a unique backdrop of picturesque fishing villages, elevations, meadows and forests before the panorama of the backwater. Contrary to the original charm, the calm and nature of the hinterland, the east coast is determined by its 40 km long white beach and the imperial baths Ahlbeck, Heringsdorf and Bansin. Along the Baltic Sea coast, you stroll along the fantastically beautiful promenades past the piers, pavilions or historical Wilhelminian style buildings. The seaside resort of Kölpinsee on the island of Usedom: here you will find the white Ostseestrand, a dreamy backwater coast and the idyllic ambience of the fishing village Loddin with its thatched houses. The seaside resort Kölpinsee is an insider tip for those looking for peace and relaxation. Directly between pine forests and the meadows to the backwaters, lie very quiet the "Ferienwohnungen Tannengrund". 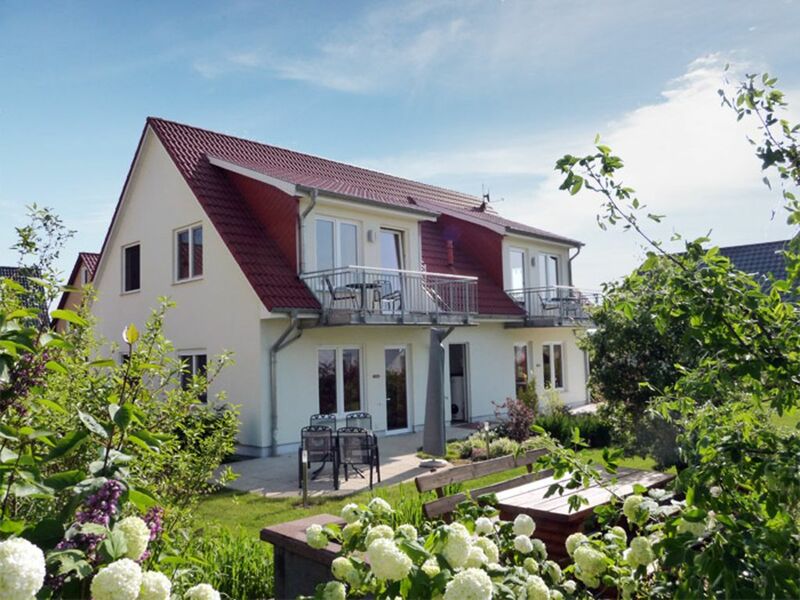 Situated in the center of the Usedom sunbath, you have short distances from the seaside resort of Kölpinsee to the famous imperial baths Ahlbeck, Heringsdorf, Bansin and all the sights on the island of Usedom. These can be easily reached by bike via one of the island's many cycle paths.